Bill Brandt was my maternal grandfather. I am trying to gather information about him for our family history. My mother never knew him so neither did I, but I want to know about his life. 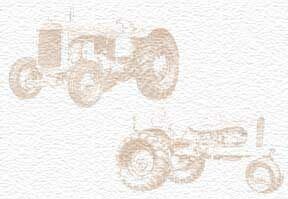 We know that he worked at Allis-Chalmers after serving in WWII. He worked in Springfield , IL for a few years and then transfered to Oregon. The pictures I have seen of his show all kinds of dozers and such in use in the forestry area. I would love to hear from anyone who knew this man. I never had a Grandpa on either side so this means a lot to me. Thanks! Steve D.
Enter information only about yourself or a deceased relative. This registry is experimental. If the quality and quantity of data collected is not sufficient, it may be discontinued. This information will be on display, but not sold or redistributed. Please do not provide too much personal information. Use something easy to remember. Good examples are a mothers maiden name or the last four digits of a phone number.